Join the Amazon.com Associates Program and start earning money today. 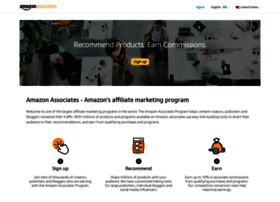 The Amazon Associates Program is one of the largest and most successful online affiliate programs, with over 900,000 members joining worldwide. If you are a Web site owner, an Amazon seller, or a Web developer, you can start earning money today.